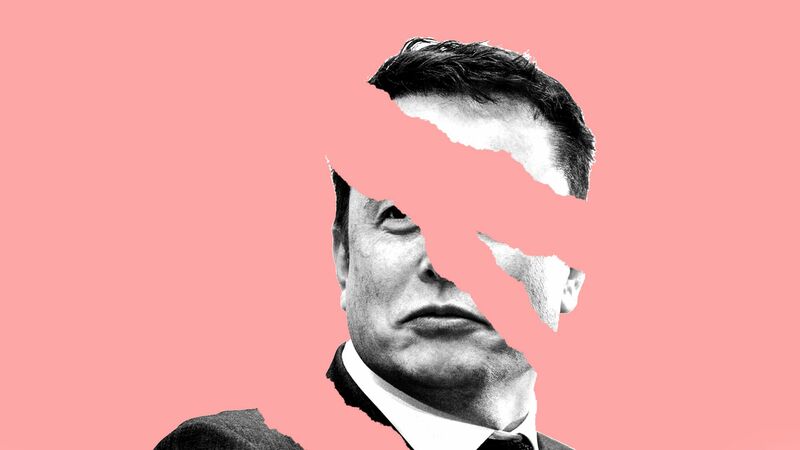 Imagine being Elon Musk — a billionaire who's started two of the world's most famous companies, but now faces self-created blowback leading to a never-ending string of bad publicity and circling stock market sharks. The big picture: Musk and Tesla face legal problems on several fronts and the company is bleeding key talent. Meanwhile, newer players are emerging in the electric vehicle market and established automakers like Audi are readying new offerings. Tesla under investigation: Tuesday brought the news, first reported by Bloomberg, that the Justice Department is probing Musk's Aug. 7 announcement of (now aborted) plans to take the company private. The Securities and Exchange Commission is conducting a separate inquiry following Musk's infamous Aug. 7 tweet that inaccurately claimed to have "funding secured" for the deal. What they're saying: Kelley Blue Book analyst Rebecca Lindland says Tesla needs changes on several fronts, from finding a way to better oversee its production — which has faced a series of problems with the Model 3 — to vetting Musk's tweets. "I have been stating for months and months, long before his behavior went off the rails, that he needs to get an executive team in there who he listens to when they say 'no,'" she tells Axios. Tesla has sold more pure EVs than any other company in the world, has plenty of name recognition and a track record of producing lots of cars. Still, Musk is the fulcrum, Lindland says. "I think that Tesla is still built on the promise of Elon Musk as opposed to the promise of electric vehicle technology." What's next: For better or worse, quarterly updates get outsized attention, and this next round of financials, production and delivery data are crucial. Musk has said that Tesla will be profitable in the second half of this year. He's also under pressure to show sustainable increases in production of the Model 3, which is envisioned as a mass-market sedan (although the promised $35,000 base version hasn't surfaced). The bottom line: Musk says the company is on track. "We are about to have the most amazing quarter in our history, building and delivering more than twice as many cars as we did last quarter," he said in a recent email to employees. China yesterday said it's hitting U.S. liquefied natural gas shipments with 10% tariffs, part of their retaliation against Trump's announcement this week of $200 billion in tariffs on Chinese goods. Why it matters: China, which has a large and growing thirst for gas imports, has been an emerging growth market for the expanding U.S. LNG industry (though cargoes to China have fallen of late). But the trade war could threaten investment in expensive new and expanded export facilities. What they're saying: "Given that LNG requires considerably larger and more specialized investments in import infrastructure than crude oil, mechanisms that constrain LNG markets may prove more troublesome for U.S. exporters," ClearView Energy Partners said in a note. Per Reuters, the gas penalties are "casting a shadow over U.S. export terminals that would propel the United States into the world’s second-largest LNG seller." "The tariffs will push Chinese buyers to other sellers in Asia and the Middle East because the U.S. will no longer be considered a low cost option," analyst Ira Joseph of S&P Global Platts tells the Wall Street Journal. The intrigue: The LNG tariffs, however, are lower than the 25% that China had previously threatened, and shares of the big U.S. LNG exporter Cheniere Energy closed higher yesterday. Via Axios' Amy Harder ... America’s electricity mix has undergone profound changes over the last decade, with natural gas and renewables rising and coal declining. The big picture: The energy revolution has occurred differently across the U.S., so let’s tell these stories through four states whose electricity mixes are notable for one reason or another. 1. Massachusetts: In light of last week's tragic natural gas explosions, it's worth noting that the state's reliance on the fuel has increased in the last several years, from just above 50% to nearly 80%. 2. Iowa: This political battleground is known most for ethanol when it comes to energy. But its wind industry is quickly becoming a force to reckon with as its share has increased sharply, at coal’s expense. 3. Delaware: This is ground zero for America’s shift from coal to natural gas. Here’s a staggering stat: Delaware generated 87% of its electricity from natural gas in 2017, almost five times more than its share a decade earlier. Its dependence on coal power fell to 4.7%, down from 70% a decade ago, according to the U.S. Energy Information Administration. 4. California: The Golden State has recently adopted aggressive clean-energy goals in the last month, mandating that 100% of its electricity come from carbon-free sources by 2045, including a renewable-specific target of 60% by 2030. Often a bellwether for other progressive state policies, California’s shift away from natural gas is markedly different than even other progressive states (like Delaware). Methane: Via the Washington Post, "In the fourth rollback of a major federal climate rule in less than two months, the Interior Department eased requirements Tuesday that oil and gas firms operating on federal and tribal land capture the release of methane, a potent greenhouse gas." Iran: Per the New York Times, "Nearly two months before American oil sanctions go into effect, Iran’s crude exports are plummeting. International oil companies, including those from countries that are still committed to the nuclear agreement, are bailing out of deals with Tehran." Tech: The Financial Times writes, "A group of the world’s leading energy traders and banks is looking to shake up the centuries-old trade finance industry with the launch of two new platforms underpinned by blockchain technology." Climate change: Amy reports that genetically-modified seeds can help farmers adapt to droughts and other changes brought on by human-driven climate change, according to Bill Gates in comments timed with a new report. It's easy look at past changes in the global energy mix and conclude that decarbonizing today's system will take a long time — much too long to hold temperature rise to below 2 degrees Celsius. But a new analysis, released via the Center for Strategic and International Studies, argues that this view is not quite the right frame. The big picture: CSIS' Nikos Tsafos says history shows dramatic transitions in the fuel mix and energy use in a number of specific countries, which suggest that a disruptive global transition is indeed possible, even as economies grow. And, he argues, the link between income and energy consumption is messier than we might assume — nations with similar incomes often have different energy consumption levels by as much as a factor of five. Quoted: "History shows that if we want to meet our energy challenge, all we need to do is replicate at scale what several countries have achieved previously on their own," he writes. "If we define a transition loosely—as a 10-percentage point reduction in a fuel’s market share over 10 years or so—we have dozens of country-level examples in the past 50 years." My thought bubble: He's hardly a Pollyanna. The piece is clear-eyed about the immensity of the carbon challenge and notes the relative lack of fossil fuel displacement by renewables alone in the past. But it's a thought-provoking piece nonetheless. The bottom line: "The point is not that energy systems frequently change, only that they can, and that once newer sources of energy become competitive, the transition can be dramatic," Tsafos writes.